The Halfway Dam, so called because of its location halfway between Mount Carmel and Centralia, supplied drinking water and water for fire hydrants mainly in the east end of Mount Carmel. The dam has not been used for its original purpose for many years. 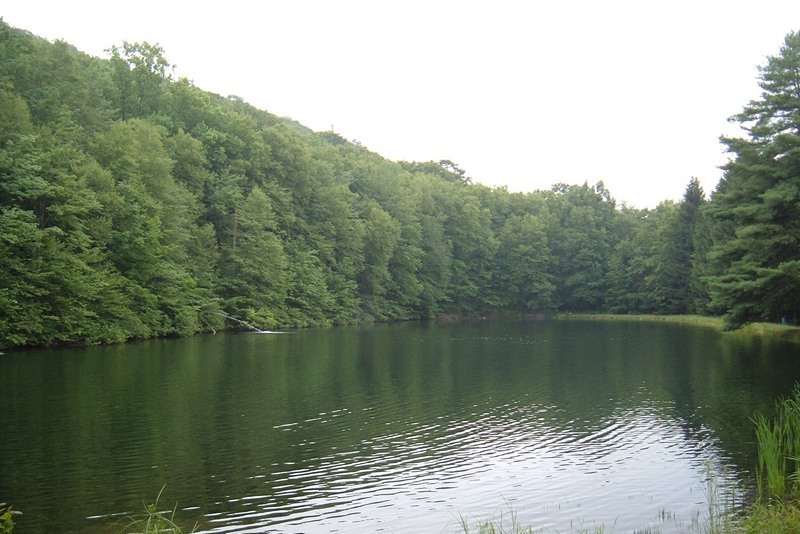 In the late summer of 1991, The Mount Carmel Sportsman's Club asked permission from the Mount Carmel Borough Council to lease the dam, name it after Charles Wightman, and use it as a fishing and recreation area dedicated to the youth of the Mount Carmel Area. 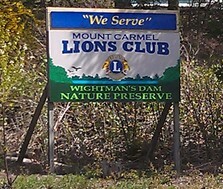 In approximately 2009, the Sportsman's Club disbanded and the Mount Carmel Lions Club asked for and was given the responsibility of maintaining the dam. In the years since, it has been renamed as The Wightman's Dam Nature Preserve and the Lions Club continues to carry on the preservation of the dam, including fish stocking, nature trails, ADA dock, picnic tables & benches. Charles Wightman was born in Connersville in 1895, one of eleven children. His father (also Charles) worked for the Mount Carmel Water Company and moved the family to the dam around 1900 where he was the caretaker. The last four children were born at this site in a large home located on the site of the present parking lot. The senior Mr. Wightman died in 1948 at the age of 83. Charles, or Whitey as he was better known, began working at the age of 12 picking slate in the breaker for the Sayre Colliery. He later worked as a fireman for the Reading Railroad, hoisting engineer and miner at the Locust Gap Colliery, and as custodian for the Union National Bank and Presbyterian Church. He married the former Mae Brocious in 1915. The couple had four children. Charles Wightman was best known in the Mount Carmel Area as an avid fisherman. In the early 1950's he began his own business selling fishworms from his basement at Sixth and Locust Streets and later at 215 South Walnut Street. This enabled him to spread his fishing knowledge and stories far and wide through his customers. He died in 1974 at the age of 78.